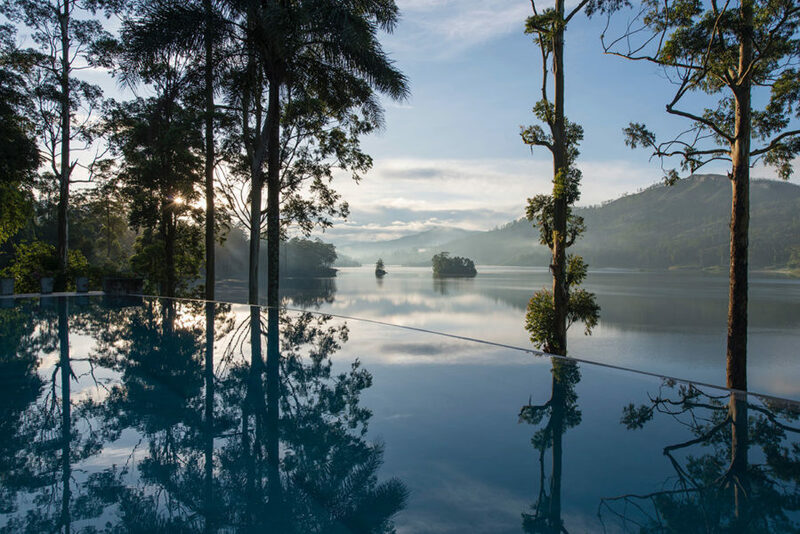 With a growing collection of one-of-a-kind boutique hotels championing personalised service, authenticity and exceptional locations, it’s no surprise that Sri Lanka is a popular destination for extra-special honeymoons. Here’s a few of Sri Lanka’s most luxurious honeymoon experiences. Sri Lanka’s Main Line Railway travels through some terrific mountain scenery. 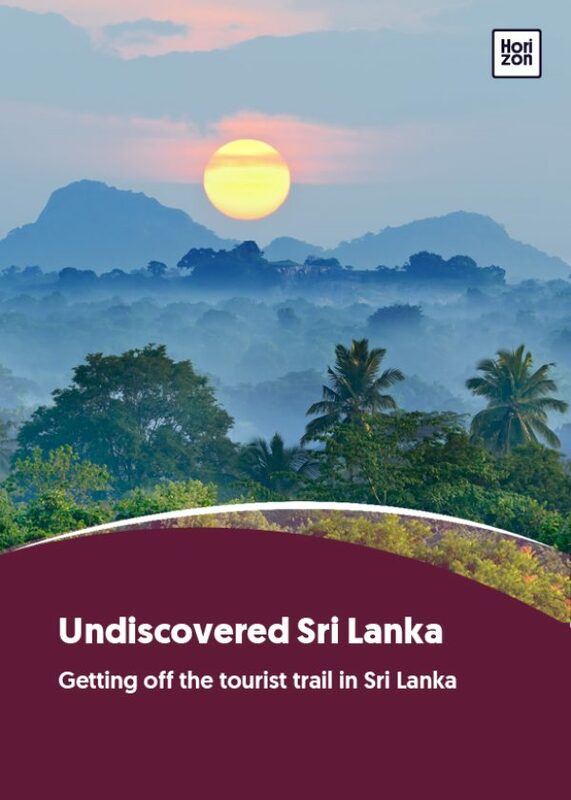 Built by the British colonists to transport their crops of Ceylon tea to the capital, the line’s 46 tunnels, nine arched viaduct and Demodara’s 360-degree substation loop were painstakingly carved out of mountains over a period of 60 years. These days the line's old-fashioned carriages and spectacular views make for a nostalgic trip, perfect for couples on a romantic honeymoon. It takes around a day to travel from Kandy to Badulla, the line’s eastern terminus, so if you’re short on time, opt for the most spectacular stretch between Nanu Oya and Demodara (2.5 hours). Honeymooners will be drawn to the evocative collection of former tea planters’ bungalows in the Hatton hills known as Ceylon Tea Trails. Sensitively upgraded for the discerning traveller, each sits in idyllic mature gardens fringed by tea estates in and around the Castlereagh Lake Valley. Although any of the master or garden suites at the bungalows will suffice, for the ultimate luxury, book yourselves into the Owner’s Cottage, a one-bedroom freestanding hideaway located up and behind Dunkeld Bungalow. It comes with a private butler, lounge, terrace and a hot tub, and shares Dunkeld’s far-reaching valley views and pool. Once here, you can relax or get active – options include white water rafting and tea estate trails. Ceylon Tea Trails: purpose made for luxurious honeymoons. Pick up chic souvenirs in Sri Lanka’s up-and-coming capital Colombo and base yourself at Paradise Road Tintagel, a boutique hotel carved out of the former home of the Bandaranaike family, a dynasty of political rulers. From here, it’s just a 10-minute walk to the Saskia Fernando Gallery, the capital’s go-to place for contemporary art, and PR, a chic concept boutique selling ladies and men’s’ fashion by new and emerging regional designers (look out for in-house brand Maus), as well as candles, toiletries and jewellery. Hop in a tuk tuk bound for Barefoot (a Sri Lanka icon, known for its multi-coloured handloom wares), Paradise Road (for chic designer home items) and Spa Ceylon to stock up on delicately scented massage oils. Sri Lanka’s wildlife is top draw, and Yala National Park is the best reserve for spying its biggest game – leopards, sloth bears and elephants. For all its merits, Yala can get very busy. Most visitors enter the park from the south so the location of Leopard Trails’ campsite, to the north of the reserve, near the quieter Katagamuwa Entrance, puts you at a distinct advantage. Some of their guides trained in South Africa and each has his own specific interest. The camp’s honeymoon appeal comes in the form of roomy air conditioned tents with king-sized beds, air conditioning, ensuite bathrooms with hot water showers, and private starlit dining. If you’re honeymooning over the summer months, Sri Lanka’s eastern beaches promise fine weather and calm seas. Kuchchaveli, a three-kilometre-long bay, 30-minutes’ drive north of Trincomalee, is a remote and romantic spot where just one hotel – Uga Jungle Beach – hides amidst its scrubby shoreline. The freestanding beach chalets, with outdoor showers, immersed in greenery, make the most of this seclusion. There are daily trips out to sea to spy whales and dolphins, and Trincomalee is a much less congested place to see these giants than south coast Mirissa, which has become oversubscribed and haphazardly regulated in recent years. You could also nip out by boat to Pigeon Island, Sri Lanka’s top snorkelling spot. Many hotels promise a ‘digital detox’ but few actually deliver. Santani, up in Kandy’s northeastern hills, vows to change this. Everything about this hilltop wellness resort is designed to let the mind be at peace. The rooms – many cantilevered sharply out from the hillside – and the main buildings all follow a minimal design aesthetic, and while Wi-Fi is there, you must request it. The resort’s spa is world class, and promises luxurious treatments as well as traditional Ayurveda, hydrotherapy facilities, yoga and packages – if this is what you want. There is no obligation to sign up to anything – absorb these pristine natural surroundings from your room balcony or get active, trekking to pristine rivers and off-the-beaten track temples. Sri Lanka’s south eastern hill country is blessed with some of the island’s most spectacular waterfalls, and many of these are hidden well away from public roads and therefore deserted. Stay at Living Heritage Koslanda, a six-bedroom boutique hotel amidst 60 acres of forested grounds, and you can escape to their private, secluded waterfall. You won’t see anyone else around, and between May and September, the forest – part of a network of woodland that snakes up through the hills, is a migratory route for elephants. Sleep in one of the cantilevered, open-sided forest chalets for a close-to-nature feel, and swim in their remote hilltop infinity pool. There are also walking trails of 10-kilometres or more, taking you through tea and rubber plantations, and to the top pools of Diyaluma Falls, Sri Lanka’s third highest waterfall. For the ultimate private stay, skip the hotels and book yourself into a private villa for some quiet time amidst the buzz of the southern Galle coastline. One-bedroom Kikili Beach House, in Dalawella, casts a magical spell over every guest that steps foot inside its granite walls, which combines multi-hued tropical chic with the feel of a British beach house. It’s also close to one of the region’s best beaches and the colonial-era Galle Fort for historic walks and shopping. Kikili comes with an always-smiling butler to cook and keep the villa shipshape, leaving you two to chill on the veranda, cosy up in the lounge or dip into the plunge pool.